Well it seems that our lovely summer may be a distant memory if the weather in Edinburgh the past week is anything to go by. But if you want to hang on to that summer feeling that little bit longer, you could try this novella from Kirsty Ferry. Rosa is working as a receptionist in a hotel where a big wedding is being held. She is quite shocked when the best man appears as he is Joel, the man she had a short relationship with a few years ago. She was deeply in love but it ended suddenly and dramatically when they returned to his home after a romantic weekend to find another woman in his house, very comfortable in her pyjamas and flicking through wedding magazines. Rosa cut off all contact with Joel and despite his best efforts he could not get in contact with her to explain. I love the warm, easy-to-read style of this author. 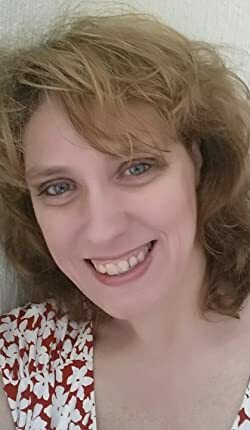 She writes beautifully about her characters’ dilemmas and emotions. It is a very romantic story with thwarted love and second chances. I really warmed to Joel. He was just lovely with a lot of depth to his character,and he was so thoughtful. The reader knows more about the woman in his flat than Rosa, and also knows the lengths he goes to to try to find Rosa. I was really hoping they would find a way to be together. A crisis more or less forces them to come together to solve a problem at the wedding but even then Rosa is reticent. We learn that she has been hurt in the past and the way she was hurt explains why she is wary of getting involved with Joel. I loved his romantic gesture at one point to try to win over Rosa. It wasn’t a grand gesture but it was just perfect for Rosa and showed what a lovely genuine guy he was. 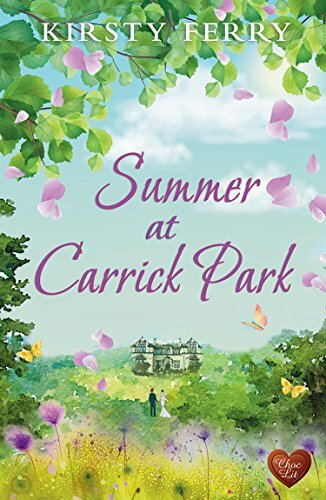 Summer at Carrick Park is a lovely romantic story from Kirsty Ferry and I thoroughly enjoyed it.